"Business-appropriate, focused, but not tyrannical: business casual shirts reflect the profile of the 21st century professional. We grow our range with these flannel-like options: the fabric is heavier, with a brushed finish – it’s incredibly comfortable and works well with your cold-weather roster." 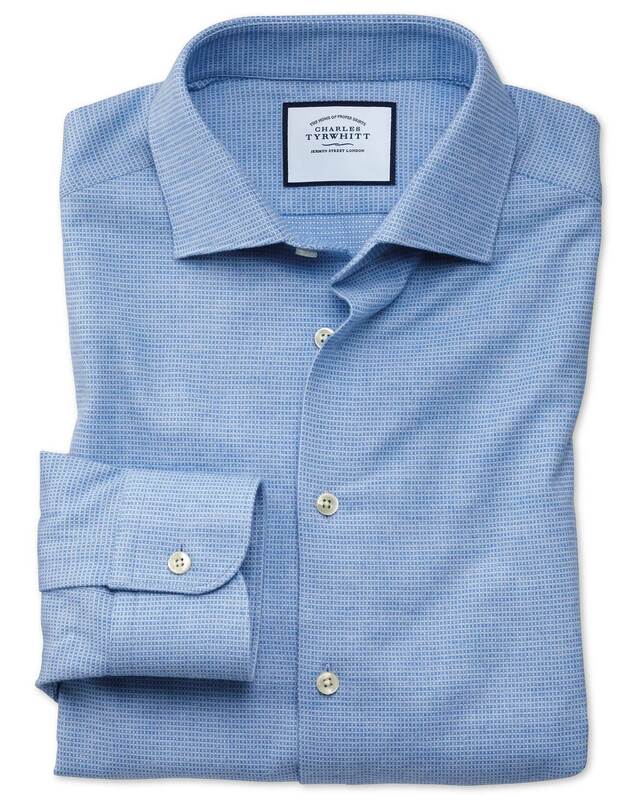 "100% cotton shirt with a brushed finish, a softer construction and no front placket for a relaxed look that remains office-appropriate." Excellent shirt and great fit. This shirt looks great and feels amazing. Super soft and well cut. Looking to buy a 2nd one honestly. Comfortable, great looking and good fit. Love the look and feel of this shirt. Extra slim fit from CT is the right fit for me, compared to what competitors are offering.